A week ahead of the eagerly-awaited announcements of the first selection of the MICHELIN Guide Taipei in which restaurants awarded with Michelin stars will be revealed, the list of establishments receiving the Bib Gourmand distinction has just been unveiled. The Bib Gourmand is a distinction given by the inspectors to establishments offering a quality meal within a fixed price range which today stands at €36 in most European cities. The inaugural Bib Gourmand selection for Taipei includes 36 addresses, out of which 10 are offerings from Taiwan’s famous night markets. The inspectors explored a wide range of styles and delicacies of cuisine in Taipei. On the list of Bib Gourmand establishments, five serve Taiwanese cuisine: Mao Yuan is a friendly home-style spot which has been serving old-time local delicacies since 1971. Meili ’s second-generation owners stick with their family recipes for authentic Taiwanese tastes. My Stove serves traditional Taiwanese cuisine with a modern twist. My Sweet Home Small Kitchen is a small family-run restaurant serving Taiwanese, Hunan, Zhejiang and Sichuan fare. Shuang Yue Food focuses on healthy home-style cooking and proposes a signature chicken soup daily made with freshly prepared free-range chicken. The list also shines a spotlight on the Taiwanese mainstay of beef noodles with a total of eight eateries specializing in this dish including: Yong Kang Beef Noodle, Niu DIan Beef Noodles, Liu Shandong Beef Noodles, Lin Dong Fang Beef Noodles, Liao Beef Noodles, Lao Shandong Homemade Noodles, Jian Hong Beef Noodles. Especially noteworthy is Halal Chinese Beef Noodles, a restaurant with over 60 years of history. 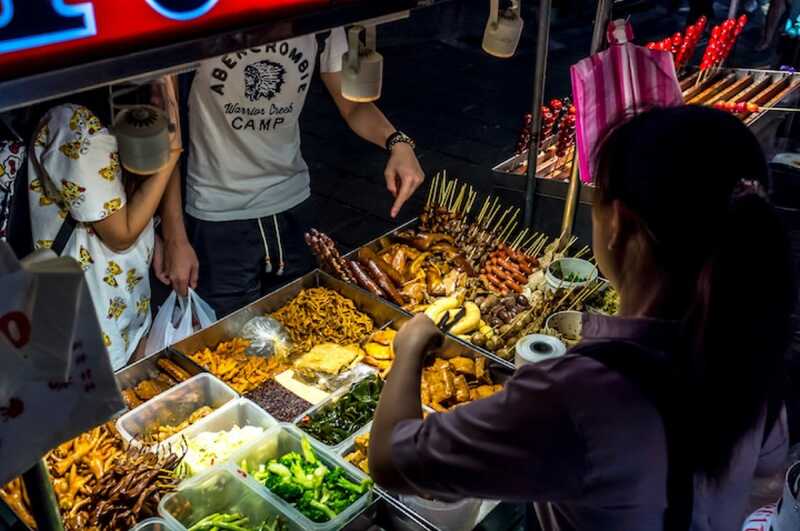 Among the list of Bib Gourmand street food stalls are three from Raohe Night Market. 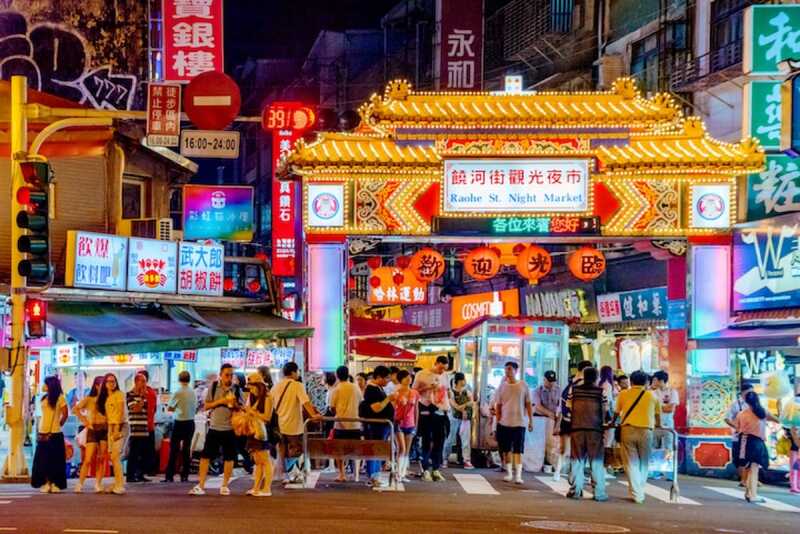 In addition, 10 street food selections from Taipei's famed night markets have also made it into the MICHELIN Guide this year. Three entrants in the Bib Gourmand Street Food selection come from Raohe Night Market: Chen Dong Pork Ribs Medicinal Herbs Soup, Fuzhou Black Pepper Bun and Shi Boss Spicy Tofu. Nanjichang, Ningxia and Linjiang Night Market each have two stalls featured. The final Street Food entrant into the Bib Gourmand Selection is Hai You Pork Ribs from Shilin Night Market which has been using a secret recipe to make tasty and healthy pork rib soup with over 15 herbs for more than 40 years. The Bib Gourmand selection for Taipei also highlights cuisines such as Jiangzhe, Shanghainese, Cantonese and Pekingese. Cuisines from other Asian regions are also featured, such as Hamamatsuya, a shop that sources eels from local farms, presenting their signature eel rice with unagi sauce three ways – straight; with seaweed, green onion and sesame; or in green tea with wasabi. Not to be missed, the first Sichuan vegetarian restaurant in Taiwan, Serenity, is also listed as a Bib Gourmand. See the full list of Bib Gourmand selections in the MICHELIN Guide Taipei 2018 here. The MICHELIN Guide Taipei 2018 will be launched on 14 March 2018 at the Mandarin Oriental in Taipei. Find the complete MICHELIN Guide Taipei 2018 selection from 14 March 2018 here.